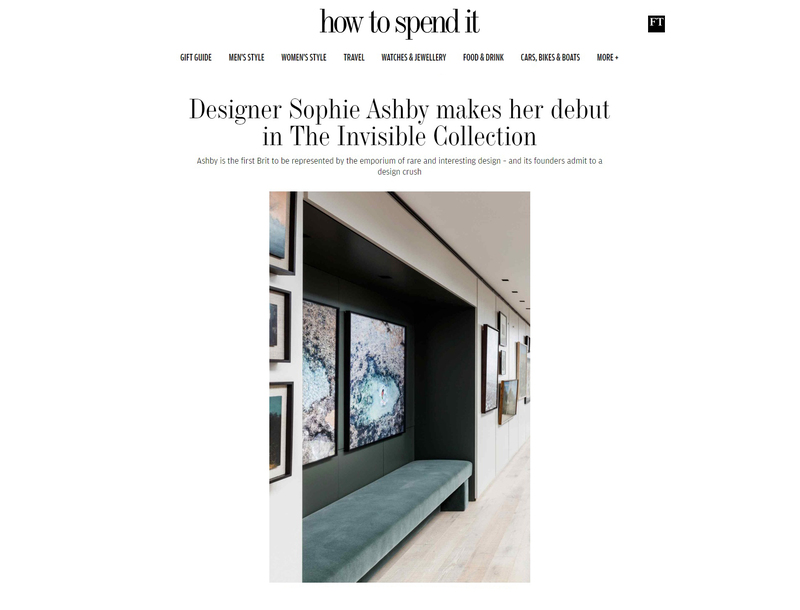 The Invisible Collection began life in 2016 as online showcase for rare and unique pieces by esteemed French and international interior designers, which could be customised and made to to order. Such has been its success that its founders, Anna Zaoui, an advisor who has worked with The Serpentine and is currently involved with the Hayward Gallery, and Isabelle Dubern, previously creative director at Dior Maison, feature the work of more than 40 architects and designers worldwide. Now, for the first time a British designer – rising star Sophie Ashby – has been invited into the fold.